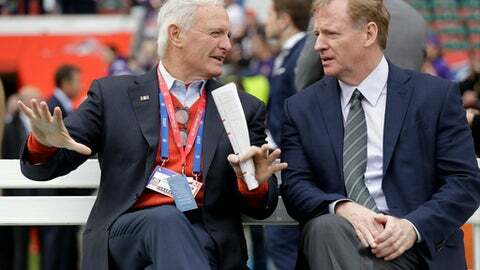 LONDON (AP) NFL Commissioner Roger Goodell has paid a visit to the new stadium in London that will host regular-season games next season. Goodell visited the site of Tottenham’s new soccer stadium on Monday. The NFL has a 10-year deal with the club to play games at the 61,500-seat venue in North London. The NFL finished up its four London games on Sunday, with the Minnesota Vikings beating the Cleveland Browns 33-16 at Twickenham Stadium, home of England’s national rugby team. The first two games in London this season were played at Wembley Stadium, while the last two were at Twickenham.